The Mega XL is the biggest and best Lezyne cycling computer we've used with a long battery life, offline maps, and excellent smartphone integration. The Mega XL has the distinction of being the newest, biggest, and best model in Lezyne's range of GPS enabled cycling computers. It is very similar in many ways to its smaller siblings, the Micro C and the Super, with the same styling, button layout, and companion app. The Mega XL sets itself apart with a massive claimed battery life of up to 48 hours, a large and easily readable display that can be used in portrait or landscape orientation, and offline maps and navigation. It's got too many features to mention, but it earns high marks for its smartphone integration through the well designed and user-friendly Ally V2 App, and its compatibility with both ANT+ and Bluetooth Smart sensors. It also has a live tracking feature and does Strava Live segments and structured workouts when synced with your favorite apps. It has all the navigation features you'd expect, plus the addition of easily uploadable offline maps for navigating when you lose service. It is also impressively customizable with the ability to create up to five different bike profiles and five data pages that can display up to 10 data fields at once. The Mega XL is also offered a very competitive an reasonable price. Lezyne has slowly but surely been growing their GPS enabled cycling computer line as well as their market share over the past few years. The Mega XL is a new model in their lineup that boasts the largest display and an impressive array of features. It shares a similar look and button layout to all of the other Lezyne models, including the Super and Micro models that are also in this review, but with a claimed battery life of 48 hours and new features like offline maps and the ability to use it in both portrait and landscape orientations. In fact, the Mega XL has virtually all of the same features as the higher priced competition but a price that's much easier to swallow. Read on to find out how it stacks up. The Lezyne Mega XL lives up to its name, it's big! Pictured here in the portrait orientation on the map page. The Mega XL is relatively easy to use, but it loses a little ground to the competition for its less intuitive button layout and controls. The smartphone integration through the Ally V2 App does quite a bit to enhance its user-friendliness, however and makes initial setup, programming, and syncing with fitness tracking apps a snap. Just like the Lezyne Micro C and Super Enhanced models we tested, the Mega XL has four tactile buttons that are all multi-function and control everything on the device. There are two buttons on each side of the housing and testers found them to be easier to press on this model due to its larger overall size compared to the Micro C. That said, testers found all of the Lezyne models and their multi-function button layout to be far less straightforward than the controls on the Wahoo Fitness ELEMNT Bolt, the Garmin Edge 520 Plus, or the touch screens on the Garmin Edge 1030 and Edge 820. Here you can see 2 of the four multi-function buttons that make up the user interface on the Mega XL. They are easier to use on the larger housing of this computer, but this is one place the user-friendliness could be improved. One of the things that makes the buttons of the Mega XL less intuitive than other models is that they are all multi-function. The first few times we used the device we found ourselves pressing the wrong button at the wrong time and generally just fumbling around with the controls. Practice helps, and like anything else, it becomes much easier over time and repeated use. When holding the unit in the portrait orientation, there are two buttons on each side of the housing. The top left button controls the power when you press and hold it, back page when in the Menu, the back button when scrolling through data pages, and the stop button. The bottom left button controls the backlight and is the "enter" button when in the Menu pages. The buttons on the right side of the housing are used to scroll up (top) and down (bottom) when in the menu pages. The top button is also marked with the word menu which is accessed by pressing and holding it down, and it is also the forward button when scrolling through the data pages. The bottom button serves as the start button as well as the lap button. If that sounds confusing, that's because it is. Again, it takes a little practice and becomes easier with repetition. Thankfully, the menu is well laid out and easy to navigate assuming you press the right buttons. When you press and hold the power button, the unit turns on very quickly, approximately 3 seconds. The startup page displays the time, date, GPS strength, battery life, and connected phone or sensors. Pressing the top right button scrolls you through your data pages, starting with the map and then through all of the data pages (the number and configuration of them varies based on your preferences and programming). Starting a ride is done by pressing the lower right button, also labeled lap. When you've finished a ride, you press and hold the power button, top left, where you can choose to save or discard the ride. The home page of the Mega XL, it turns on quickly and displays heaps of useful information including the charge of your phone when paired. Smartphone integration and connectivity are one of the Mega XL's best attributes. You can basically do everything through the Lezyne Ally V2 App which is free, intuitive, and user-friendly. Data transfers quickly between the Mega XL and your smartphone for quick uploads to Strava and the GPS Root website, and it backs up and saves to the app as well. The Bluetooth connection appeared to work well, and we always received text, e-mail, and phone call notifications when we had cell service. Data can also be transferred with the included micro-USB cord to upload to the GPS Root website and on to other fitness tracking apps. The Mega XL doesn't have Wi-Fi connectivity which means that you're dependent on a smartphone for wireless connectivity. Models like the Garmin Edge 820 with Wi-Fi connectivity provide more options for wireless data transfer. The Mega XL has a rechargeable lithium polymer battery that has an impressive 48 hours of run time, by far the most of any model in this test. This is double that of the Super Enhanced and triple the battery life of most of the other competitors in this review. The battery is charged with the included micro-USB cable in the port under the rubber cover on the bottom of the housing. The Mega XL doesn't need to be charged as often as other models thanks to its long battery life. Like all of the Lezyne models we've tested, the Mega XL comes with their standard Direct-X Lock mount and two sets of thick rubber bands in different sizes. This mount is incredibly simple to use and is attached to your handlebar or stem, if your stem is rounded, and can quickly and easily be removed to switch between bikes. Once the X-Lock mount is attached, simply place the unit on it while pushing down and twisting to lock it in place. The mount is solid and will hold your device securely on even the roughest of gravel roads or trails. All of the other models in this test come with a similar mount but all the Garmin units, the Edge 1030, Edge 820, Edge 520 Plus, and the Wahoo Fitness ELEMNT Bolt come with out-front mounts as well. Lezyne sells an out-front mount for their computers as an aftermarket purchase. During testing, we noticed that the quarter turn mounts of the Garmin and Wahoo Fitness models were slightly easier to use than the Lezyne X-Lock which requires a bit more force to engage and disengage the device. This difference is relatively inconsequential, and you can feel confident that your Lezyne unit is securely attached. The Mega XL only comes with their X-lock mount which attaches directly to your handlebar or stem. It is a little thicker overall than most other computers and it tends to stand up a little higher off the mount. Once again, programming the Mega XL is virtually identical to the other Lezyne models in this test. The first thing you need to do is download the Lezyne Ally V2 app to your smartphone and pair it via Bluetooth to your unit. The app is free and pairing the unit with your phone is pretty self-explanatory. You can also do all the same programming on the Lezyne GPS Root website. Now, you can simply start using the Mega XL in the factory settings to record your rides but to get the most out of your device you may want to do some programming. There are quite a few things that can be programmed through the Lezyne Ally V2 app, starting with the basics like setting the date and time, turning on text, call, and e-mail notifications, entering your personal information, and enabling Strava auto sync and live segments. This is where you'll also enable Lezyne Track and add contacts, and sync with training apps like TrainingPeaks or Today's Plan. The app also allows you to configure your screen setup and orientation and control and make adjustments to the information on the various pages of the device, and it lets you create custom page layouts for up to 5 bikes. The navigation feature on the app easily allows you to create and save routes and locations and sends them to the GPS unit; this can also be done on the GPS Root website. The photos below show the pages on the app where you can program data pages for different bike profiles. One thing that can't be programmed through the app is pairing with ANT+ and Bluetooth Smart sensors; this must be done through the unit. Most of the other programming can also be done on the unit itself, but it's far more complicated than doing it on the app. The unit has four tactile buttons, two on each side, that allow you to scroll through the myriad functions and settings and make changes. The buttons are all labeled, but they aren't incredibly intuitive to use, it takes a little practice to perfect. Initial setup and programming of the device is a good time to get a little practice because they are the same buttons that you'll be using to control it when you're eventually using it on bike rides. That said, everything can be done on the app which has proven to be the most user-friendly of all the apps we've used. It beats out the Wahoo Fitness app by a small margin and the Garmin Connect app by a landslide. In general, the Mega XL is quite similar to both the Micro C and the Super Enhanced models in terms of features. The Mega XL does have a few tricks up its sleeve, however, which set it apart from its smaller siblings. One of the best features of the Mega XL is its large and easy to read screen which measures 1.4 x 2.3 inches. In addition to the size, you can orient the screen in either portrait or landscape depending on your preferences. Testers found that they preferred the landscape, or horizontal orientation of the device because it seemed less cluttered and proved to be easier to read. The basics from a mountain bike ride, showing the route, distance, time, elevation, speed, and temperature data. The Mega XL is feature packed, and that includes all of the basic functions that you'd expect from a GPS enabled cycling computer. These basics include speed (current, average, max), distance, elevation (gain, loss, current), temperature, as well as a clock that displays current and elapsed time. When paired with sensors it will display and record data from your heart rate monitor, cadence sensor, and power meter. The Mega XL uses both GPS and GLONASS satellites. This helps to ensure accuracy and is similar to most of the other GPS enabled devices in this test in that regard. The unit boots up in just a few seconds and never seems to lag in acquiring a GPS signal the way that some other models seem to do. During testing, we never dropped the GPS signal, and our data seemed to be on par with the other models while testing side by side. The offline maps are very detailed and work well for navigation. when you are off-line, and the device will reroute you should you get off your route, even when you are offline. Testers found this to be a nice feature that helps to make this model more competitive with the more expensive Garmin competitors. The map download process is relatively simple and can be done wirelessly through your phone or wired through your computer and the GPS Root website, the latter is significantly faster. It's easy to create and save routes on either the App or the GPS Root website, and you can also import gpx and .tcx files. The navigation page on the app allows you pick a destination and it will give you route options to get there. During testing, we found that the routes it chooses aren't always the best, so it's worth double checking them. Enter a destination and it will give you options to get there. Select the route and press the Go button and it will provide you with turn by turn directions. Testers also found that creating routes for mountain biking was much easier on the offline maps because they are far more detailed, easier to see, and have trail names, etc. Routes are easy to follow with a crisp image on the large display. Starting a route does require you to go to the navigation page on your smartphone and select one of your saved routes and press "Go". Once you've done that the device gives you prompts on the screen and turn by turn navigation. Thanks to Lezyne's Ally V2 App, the Mega XL is impressively well integrated for use with smartphones. This includes the navigation features mentioned above but also includes useful features like text, e-mail, and call notifications. This is something that virtually all of the GPS enabled models in this test can do when paired via Bluetooth with your smartphone, and you can turn notifications on or off through the App. You can also sync your ride data to the Ally V2 App where can choose to auto sync to upload rides to share on Strava, Twitter, Facebook, or e-mail. The Mega XL also has a live tracking feature that they call Lezyne Track. You can enable this through the app where you can manually add contact's e-mail addresses or select from the contacts on your phone. When Lezyne Track is enabled, it sends an e-mail to your contact list so they can follow your ride in real time. This is a great feature, something the Mega XL shares with both the Micro C and the Super. All of the Lezyne models lose a little ground here to competitors like the Garmin Edge 1030 and Edge 520 Plus which have even more advanced features like Group Track, rider-to-rider messaging, and incident detection. You can select the starred Strava segments you want to have pop up for Strava Live when you are riding. The Mega XL, and all of the other Lezyne models for that matter can do Strava Live segments. You can turn this feature on or off through the app which is also where you select your starred Strava segments that you want to appear while riding. On the app, you also can adjust the detection range of the Live segments and control the distance at which the warnings are given. Once you've started a live segment the screen changes and displays your progress and time on that segment compared to your PR. Strava Live segments have become a standard feature on most quality GPS enabled cycling computers and this one is easy to use and works well. In addition to integration with Strava, the Mega XL can also be synced with TrainingPeaks and Today's Plan to do structured training workouts. Both of these can be enabled on the settings page of the App, assuming you have an account that is connected to GPS Root. If you don't have an account, you can sign up for a free 30-day trial with either of them through the App. The Mega XL is compatible with both ANT+ and Bluetooth Smart sensors. The same goes for the other Lezyne models and the Wahoo Fitness ELEMNT Bolt, and all of them can use both types of sensors at the same time. This is one place that it has a distinct advantage over the Garmin models that are only compatible with ANT+ sensors. Sensors are paired through the device itself by scrolling down to the Sensors page on the main menu. Once you enable each sensor type, it will scan for sensors in range so you can pair with them. Once you've paired with a sensor one time, it will automatically pair with it again until you un-pair it. In addition to pairing with your heart rate, cadence, and power meter, the Mega XL can also pair with compatible electronic drivetrains. When sensors are connected, an icon is displayed to represent each one, and their battery information is displayed on the main page while their data is collected and displayed on the customizable data pages. There are also customizable heart rate and power zones on the App under the General Setup page for cyclists doing zone training. The Mega XL can pair with all of your sensors and display the information in a variety of ways. You can also connect with TrainingPeaks or Today's Plan for structured workouts. Versatility is one of the Mega XL's strong suits; this is a great option for training, racing, or casual use with long battery life and good navigation features, including offline maps. No matter what type of cycling you're doing, from structured workouts with all the sensors to overnight bike packing missions, the Mega XL is up to the task. It is highly customizable, and it gives you the ability to create separate profiles for up to 5 bikes making switching between bikes and riding disciplines quick and easy. In addition to its usefulness for cycling, it can also easily be put in your pocket or your pack to track and navigate on walks, runs, and hikes. Lezyne refers to the Mega XL as extremely weather resistant. Just like the Micro C and the Super, the Mega XL doesn't carry the IPX rating for water resistance like the Garmin Edge models or the Wahoo Fitness ELEMNT Bolt. Despite the lack of the IPX rating, we found the Mega XL to be weather resistant enough for the harshest of wet weather and even our water submersion test. The unit is well made and sealed all the way around except for the charging port that is closed with a robust rubber cover. This rubber cover creates a good seal when closed properly, so there is no weather condition that the Mega XL can't handle. You can even rest assured that it's prepared for an accidental submersion should you happen to go OTB while riding through a creek. It doesn't have the IPX 7 rating for waterproofness, but that doesn't really seem to matter much. This computer can handle the worst weather you can think of, and submersion in water. The Mega XL is a great option for any cyclist; from mountain biking to commuting, it has you covered with all the features most riders will ever need and then some. Whether you're training for races or just riding casually, it has the tracking and navigation features to help you get the most out of your rides. This computer can do virtually everything that its higher-priced competition can, with a great user-friendly app that makes programming it a breeze. Its overall ease of use is hampered somewhat by its less intuitive button system, but its smartphone integration is some of the best in the test. Its best in class battery life and the ability to do offline maps should also appeal to the adventure cycling or bike packing crowd. Multi-discipline riders will also enjoy having multiple bike profiles for each bike or type of cycling. That said, if you seek features like group tracking, rider to rider messaging, or even more robust navigation features, other models will probably suit you better. With a retail price of only $200, we feel the Mega XL is a great value. It is 1/3 of the price of our most expensive competitor, yet it has almost all of the features of models that cost 2-3 times more. Sure, it lacks a little of the color display and touchscreen bling of the higher priced competition, but it makes up for that with excellent smartphone integration, great connectivity, a large display, long battery life, and a very reasonable price. The Mega XL is easily the best model we've ever tested from Lezyne. The connectivity and smartphone integration is excellent, plus it has maps and navigation, a large easy to read display, and best in test battery life. The Mega XL is a quality fully featured cycling computer offered at a very reasonable price. There's little this powerful unit can't do, and we think that it will satisfy the needs of the vast majority of riders. It has excellent smartphone integration through the Ally V2 App, excellent connectivity, and features to please the full range of cyclists from data-hungry roadies to navigation-hungry bike tourers. Add to that best-in-class battery life, offline maps, and easy route creation, and it's hard not to love the Mega XL, especially for the price. Lezyne makes a full line of GPS computers and accessories for cycling. Accessories include the Heart Rate Flow Sensor ($45), the 2-1 Cadence Speed Flow Sensor ($45), and a few different mounting options. 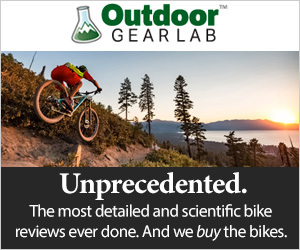 They make a variety of GPS enabled cycling computers and bundled packages. In addition to the black color we tested, the Mega XL GPS is offered in several limited edition colors including yellow, pink, red, white, and green. The Mega XL is offered in a "Loaded Box" ($299) which gets you the GPS unit, a Heart Rate Flow Sensor, Cadence Speed Flow Sensor, and the Direct X-lock mount system (out-front). The Mega C GPS ($200) is quite similar functionally to the XL version although it has a smaller screen and a shorter battery life. The Super GPS ($150) (also tested) is very similar to its larger siblings with excellent connectivity, tracking, and navigation features in a smaller package. It is also offered in "loaded box" bundles with Bluetooth Smart sensors. The impressively small and lightweight Micro C GPS ($140) is loaded with features for its size and also comes as watch for those seeking a versatile option for a variety of sports. The Mini GPS ($100) is even smaller but is still GPS enabled and packs a lot of features into an incredibly small package.